Since 1952 official rod catch figures for each river in Scotland have been collected. 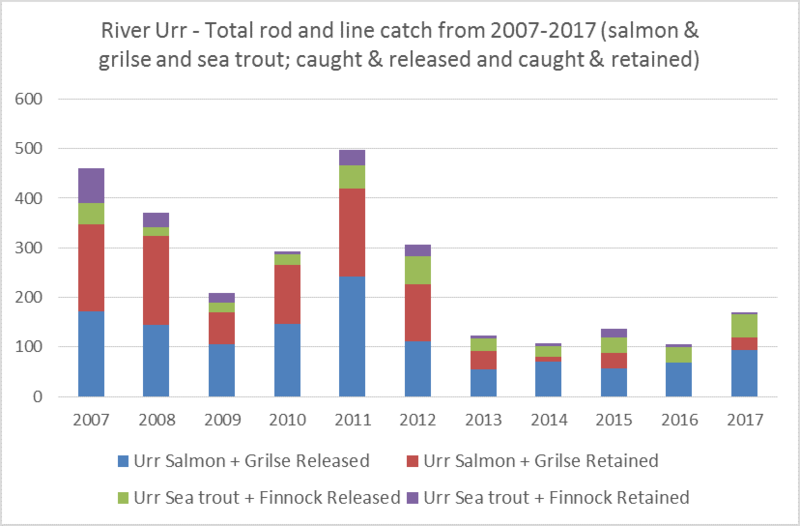 Figures presented below are based on the official catch statistics which beat owners have submitted to Marine Scotland (a legal requirement). GFT cannot guarantee the accuracy of these records. For more information visit https://www2.gov.scot/Topics/marine/Publications/stats/SalmonSeaTroutCatches. The River Tweed famously has rod and net fishery catch records going back as far as 1855 and 1842 respectively and large fluctuations in the catches can clearly be seen over the whole time series as can changes in the run timing and sizes / sea-ages of the fish. 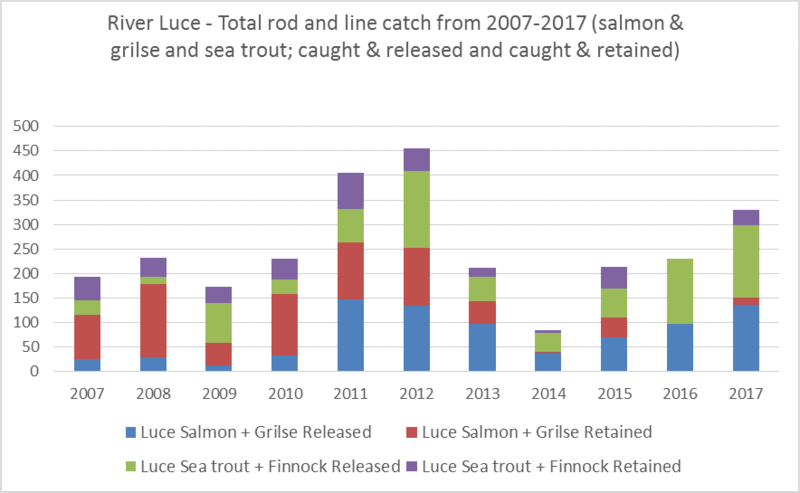 The official rod catches for salmon and sea trout for the last 10 years are graphed for the Luce, Bladnoch, Cree and Urr and presented in the Gallery. 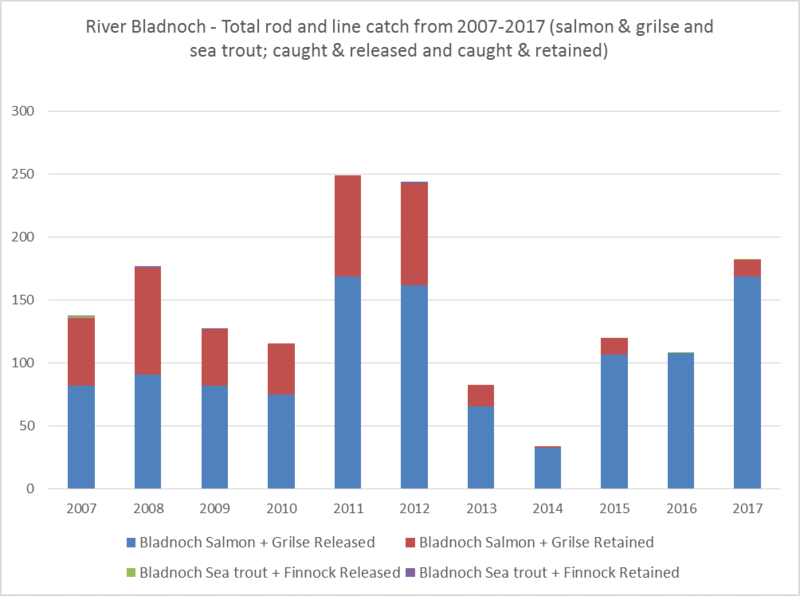 Data shows rod caught fish only (salmon and grilse, sea trout and herling), with rod caught released fish included in the figures. 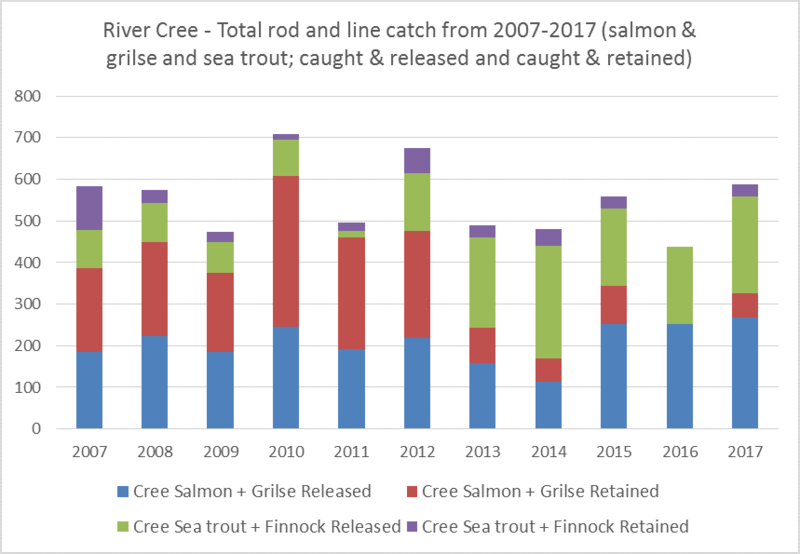 These graphs do not show catches from nets (fixed engines, net & cobble) which have fallen significantly across the Solway as the net fisheries have closed.